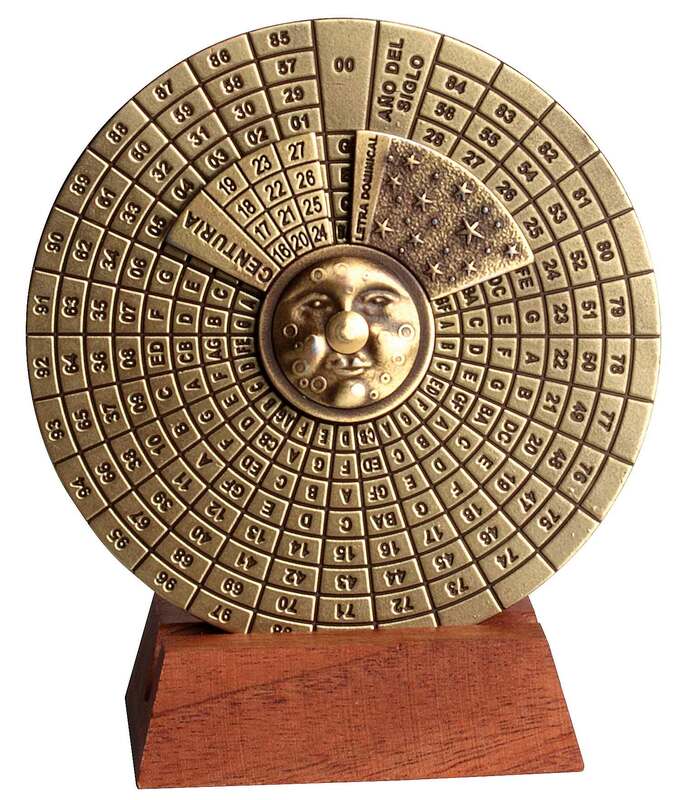 Reproduction of a Perpetual Calendar from the 18th century. 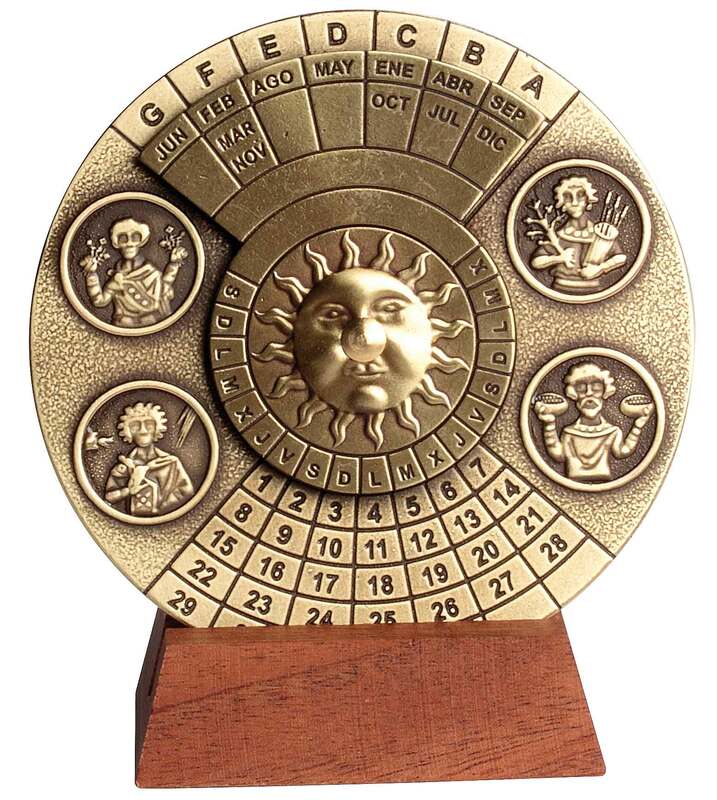 A perpetual calendar is a calendar valid for many years, usually designed to allow the calculation of the day of the week for a given date in the past or in the future. The system of dominical letters assigns a letter from A through G to each day of the year. In a leap year, February 29, the bissextile day, does not have a distinct letter. This causes all subsequent Sundays to be associated with a different dominical letter than those in the beginning of the year, so all leap years get two dominical letters. In this system, the dominical letter for a year is the letter which corresponds to the Sundays of that year. To find out which day of the week falls on June 29 1900 (birth of Antoine de St Exupery), the first thing to do is to find the dominical letter of the year 1900. On the rear of the calendar (moon side, second image above), the letter G appears in the intersection of 19 (on the little century disc) an 00 (on the base disc). The next step is to turn around the perpetual calendar (sun side, first image above). If you place the month june (on the mobile dial) in front of the dominical letter G, you will read the day of the week V (Viernes in spanish, Vendredi in french, friday in english) in face of the column of 29. Attention to detail, historical interest, beauty of forms characterize this very fine perpetual calendar, shipped complete with a hardwood display stand and a user guide ( ). Average of 3,9 based on 8 reviews.